Even if you’re walking through the airport or going to pick up your mail, if you meet a fan and they have a camera, they will take a picture of you and millions could potentially see that picture – if it’s picked up by a blog or whatever. I’ll be honest; I’m a student of fashion. I say that because I just wear what I feel. I’m not led by name brands and things like that. I love the water; I love to swim. 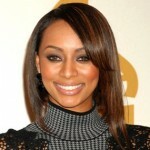 Keri Lynn Hilson was born and raised in Decatur, Georgia, and spent most of her youth working with producer Anthony Dent, as a songwriter and background vocalist for several R&B and hip hop artists. By the age of 14, Hilson had secured a record deal with the girl group D'Signe, who later disbanded. She attended Oxford College of Emory University and Emory University in Atlanta, while she continued writing songs for artists.